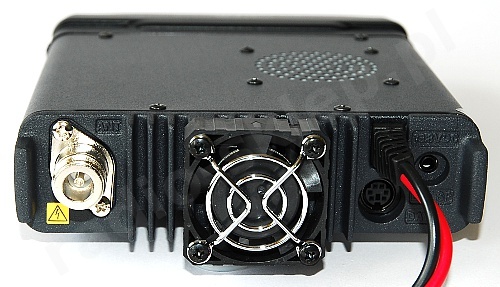 2m / 70 cm Dual Band FM Transceiver with exceptionally wide receiver coverage. 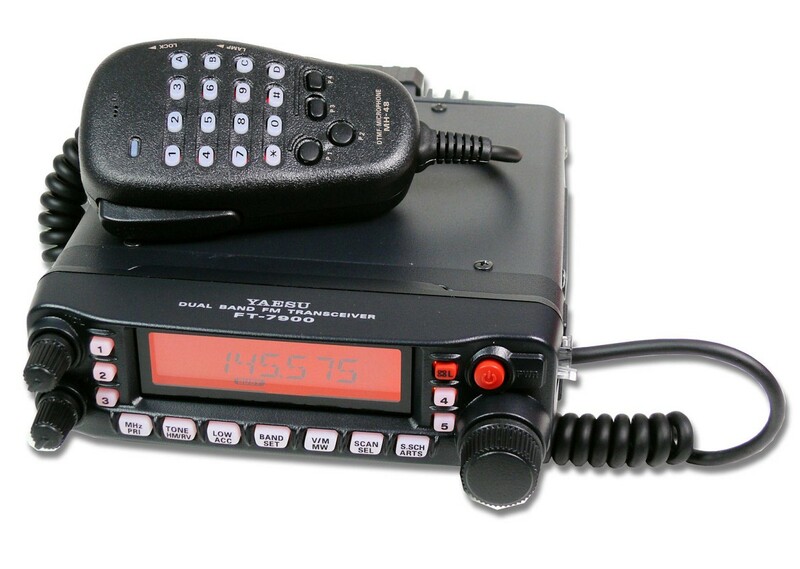 The FT-7900E provides 50 Watts of power on the 144 MHz band, and 40 Watts on the 430 MHz, and is designed for simplicity of operation along with high performance in the receiver section. 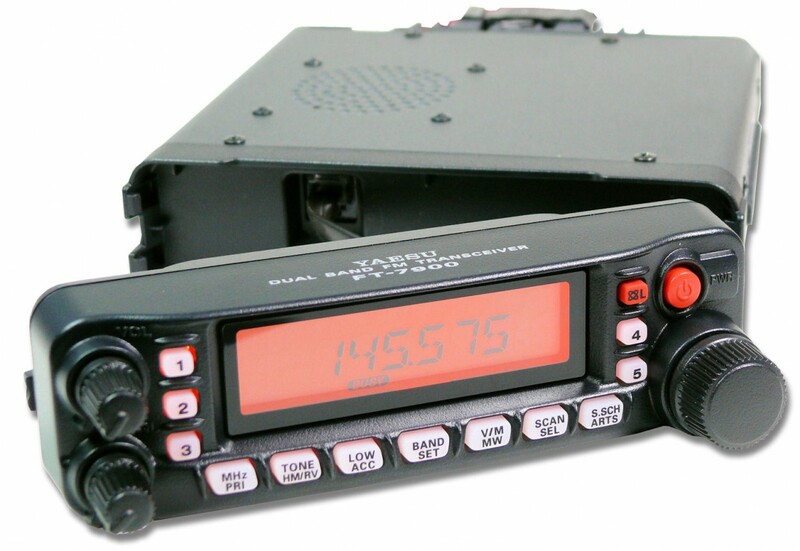 The FT-7900E is ideal for the active Ham who has a need for simplex, repeater, or FM satellite operation on both bands, but without the complication of cross-band repeat capability, which is available on our FT-8800E and FT-8900R models. High Power Output Boasting a big 50 Watts of power output on 144 MHz, and 40 Watts on 430 MHz, the FT-7900R also includes provision for three lower power levels, so you never have to use more power than you really need. The power level is stored in regular and Hyper Memory registers, too. Wide Receiver Frequency Coverage The FT-7900R provides receiver coverage from 108 to 520 MHz, and 700 to 999.99 MHz (cellular blocked), so you have available a wide range of monitoring excitement, including AM Aircraft, Public Safety, Government, Business, and, of course, Amateur communications. The synthesizer steps appropriate for the operating band are automatically selected, too! Large LCD Display The large backlit LCD on the FT-7900R ensure excellent visibility. One-Touch Five front panel keys allow complete transceiver configuration status to be stored for convenient one-touch recall. So you can set up favorite frequencies in each operating band, including the receive-only bands, and then recall them with a single touch of a button! Over 1000 Memory Channels The FT-7900R's incredible memory channel capacity includes registers for over 1000 channels, each capable of storing a 6-character Alpha-Numeric label. And the memories may be stored in any of the 20 available memory groups; a particular memory channel may also be stored in multiple groups, if desired. YSK-7800 Remote Mounting Kit (option) Using the optional YSK-7800 Separation Kit, which contains both cabling and a bracket for the remote front panel, you can mount the FT-7900R's front panel on the vehicle's dash board, then stow the radio's body under the seat or in some other convenient, out-of-the-way location. The cables are approximately 20 feet (6 m) in length. WiRESª Internet Linking Capability The FT-7900R's DTMF signaling capability includes provision for easy access to Yaesu's WiRESª (Wide-coverage Internet Repeater Enhancement System) Internet linking nodes, as well as other linking systems that require a DTMF string for access.